Information has been hard to come by regarding the live-action adaptation of the Deus Ex video game series since it was announced that the dark, sci-fi thriller was to be directed by Scott Derrickson (Sinister, Exorcism of Emily Rose). This week at San Diego Comic-Con, the film’s co-writer C. Robert Cargill spoke about the challenges posed by the growing desire to adapt video games to film, giving a better idea of how the writing duo will be turning a sprawling, open-ended role-playing game into a streamlined film. “It’s not a video game movie, it’s a cyberpunk movie. High hopes to be sure, but there’s no question that the Deus Ex franchise shares the same bleak view of science fiction as Blade Runner – even though Cargill maintains he and Derrickson aren't looking to mimic director Ridley Scott’s noir game-changer. It’s the overarching elements of the fiction that Cargill seems most ruled by: blending of humanity with technology, a darker future for the world, and corporate espionage. But you can’t have a gripping story without a central character, and Cargill claims that was always the biggest challenge. Deus Ex: Human Revolution's protagonist Adam Jensen is undoubtedly the hero (Cargill claims that following someone other than Jensen was never considered), but the question then became “which version of this character will be the most cinematic?” Since the original game series left customizing a character up to the player, finding a happy medium is at worst impossible, and at best a risk that seems necessary when adapting the most story-heavy games. Paring down the potential story to a core plot meant removing elements, characters and subplots that may have been fan-favorites, but are “convoluted” in comparison to what Cargill was most enthralled by: the central themes. Surprisingly, Cargill claims that much of the challenges comes from the studios becoming too familiar with specific beats or aspects of the game. That demands that one must “be good at explaining” – explaining to the movie studio why some of their favorite scenes won’t work in a film, and explaining to the game's publisher why what’s most important to a game may not be needed for an adaptation. That being said, fans may see more elements left intact than expected, as it sounds like Cargill and Derrickson have managed to work in the game’s boss fights. Having a big baddie appear from nowhere to oppose the hero makes sense in a video game structure, but for the film, seeds must be planted early on to make the conflict a satisfying one – in others, the film builds to the fight in ways gamers may take for granted. 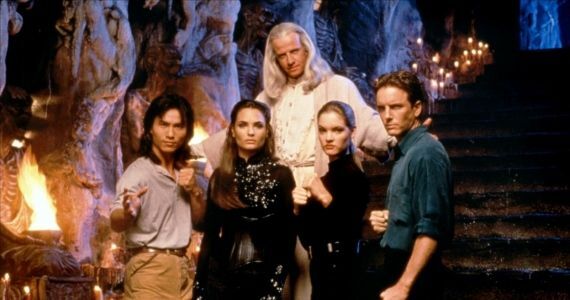 Cargill cited the fact that while some may take issue with the quality or style of the live-action Mortal Kombat (1995), the adaptation kept the spirit and structure of the game intact – a fighting game became a movie built around a fighting tournament. How that philosophy can be applied to Deus Ex – Human Revolution, the most recent entry in the series specifically – isn’t clear, but it was apparent that simply applying a game’s title to a generic story (with some inspiration taken from the source material) isn’t an approach the writers approve of. Although some fans of the series may take issue with the clear decision to adapt Human Revolution – the newest and most cinematic installment – instead of the game that launched the series, Cargill isn’t overlooking the bigger picture. 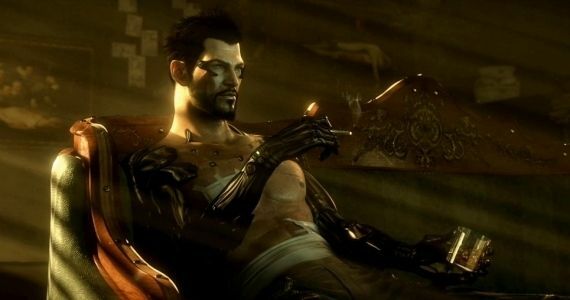 Adam Jensen may be the star for now, the writer explained that the stylish hero is in reality the star of a prequel; kicking off a chain of events that could bring the films up to the time of the original game. What do you think about the choice to select one version of the game's hero and stick with it? An issue only to the niche audience, or a significant one that game adaptations will need to solve? Sound off in the comments. No release date has been set for Deus Ex: Human Revolution.